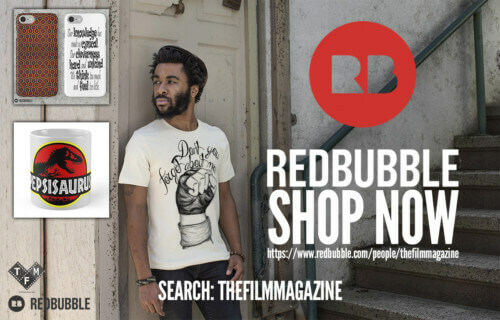 We’re in the height of summer blockbuster season, with the month of July looking to offer even more of the huge tent-pole blockbuster movies we’ve become accustomed to throughout May and June. Distribution juggernauts Disney, Sony, Warner Bros and Fox have all spent big in an attempt to convince you to spend your hard earned money buying tickets to their films, leaving the questions; how do you separate the good from the bad? Which films do you see and which films do you avoid? 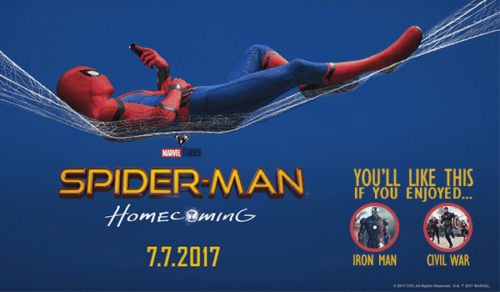 Starring: Tom Holland, Robert Downey, Jr., Michael Keaton, Marisa Tomei, Jon Favreau, Gwyneth Paltrow, Donald Glover, Zendaya. Marvel are welcoming the Spider-Man character back from the clutches of Sony Pictures (who had solely produced and distributed each live-action Spidey movie before this) with all the bells and whistles, including a prominent role for Robert Downey, Jr’s Iron Man, former Batman actor Michael Keaton as a villain and the returns of Jon Favreau (Iron Man 1 & 2 director and Stark’s agent in Iron Man 1, 2 & 3) and Gwyneth Paltrow to the universe. After two weeks of dominating social media charts it seems like everyone is more than ready to welcome back their favourite friendly neighbourhood Spider-Man to their beloved Marvel brand, making it potentially the biggest film of the summer. So… if you don’t see this film, you may end up being the only one. Starring: Andy Serkis, Woody Harrelson, Toby Kebbell, Steve Zahn, Judy Greer. 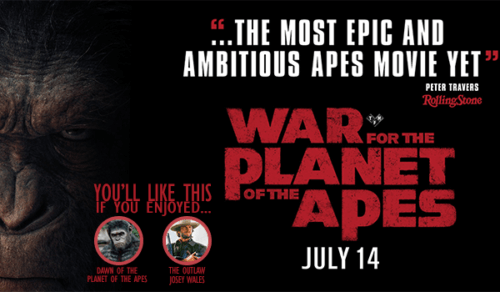 The final movie of the trilogy promises an all-out war between humans and apes to settle which species is the strongest once and for all. Matt Reeves has likened his film to The Outlaw Josey Wales (1976) and promises much of the same Western goodness that was a driving force behind Logan, the X-Men spin-off that was such a huge hit earlier in the year. Andy Serkis returns in full mo-cap for what seems like an even better looking CG-fest than ever, and he’ll be opposed by Woody Harrelson in what seems like another morally ambiguous role for the iconic actor. Director Matt Reeves is set to direct the next Batman movie, so this could be really good! Starring: Nicole Kidman, Kirsten Dunst, Elle Fanning, Colin Farrell. Sofia Coppola became only the second female to ever win Best Director at the Cannes International Film Festival in May when her re-imagining of the 1971 Clint Eastwood starring The Beguiled wowed audiences at the prestigious event. The director of The Virgin Suicides, Lost in Translation and Marie Antoinette has once again looked to tell a female-driven story, flipping the original The Beguiled on its head by telling the tale from the point of view of the females involved. Nicole Kidman heads a stellar cast that includes long-term collaborator Kirsten Dunst, up and comer Elle Fanning, and Colin Farrell, for what is sure to be a blood soaked affair of the highest quality. Starring: Tom Hardy, Cillian Murphy, Kenneth Branagh, Mark Rylance, Harry Styles, James D’Arcy. Memento, Insomnia, The Dark Knight trilogy, The Prestige, Inception, Interstellar. All movies directed by Dunkirk director Christopher Nolan. Need there be any more evidence provided as to why you should see this film? Just in case you’re not convinced, this war epic based on the World War II battle of Dunkirk stars Oscar winner Mark Rylance, multi-time Oscar nominee Kenneth Branagh, 2016 Oscar nominee Tom Hardy and critical darling Cillian Murphy. If well-respected character actors aren’t your thing, then you may be interested to know that Dunkirk marks the big-screen acting debut of former One Direction member Harry Styles. 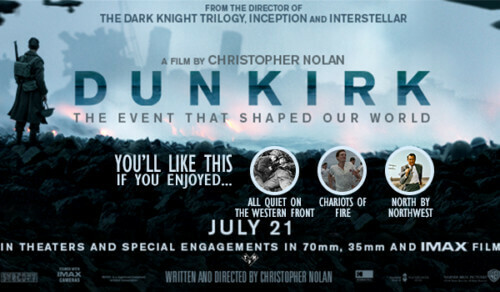 Talent aside, Dunkirk seems to indicate in its trailer that it will effectively capture the claustrophobia and overwhelming fear of those at war, and Warner Bros have been very careful not to spoil any of the movie’s major plot points in their promotion of the film – a rarity in today’s day and age. If you’re usually put off by the length of Christopher Nolan’s movies, or war films in general, then fear not as this one is due to be the second shortest film in Christopher Nolan’s career at a mere 1 hour and 47 minutes. Starring: Kumail Nanjiani, Zoe Kazan, Holly Hunter, Ray Romano. Remarkably, given the premise of boy-meets-girl, then girl goes into a coma after their break-up, The Big Sick is a true story about Kumail Nanjiani’s flowering relationship to his now wife. 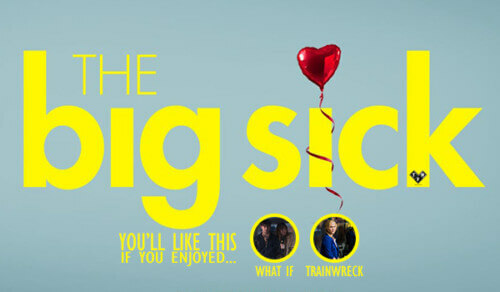 Produced by Judd Apatow’s production house Apatow Productions, the people behind Knocked Up, Bridesmaids and Trainwreck, The Big Sick offers a welcomed departure from the all-white, middle class rom-com presentation we’ve all become so accustomed to, and it turned a lot of heads on the festival circuit in late 2016/early 2017 too, earning it the sort of credibility you can’t ignore in the height of blockbuster season. Zoe Kazan, who shone in What If and Ruby Sparks, co-stars, with the impressive talents of Ray Romano and Holly Hunter playing her parents. This one seems like not only a great date movie, but potentially one of the better romantic comedies in recent years and certainly worth a watch. Notable absentees from this list include the latest Dreamworks animation Captain Underpants: The First Epic Movie, the Jada Pinkett-Smith starring Girls Trip and Disney Pixar’s Cars 3. If you’re looking for a documentary to watch, David Lynch: The Art Life (released July 14th) may be worth investing in if you can find a showing at a cinema near you. 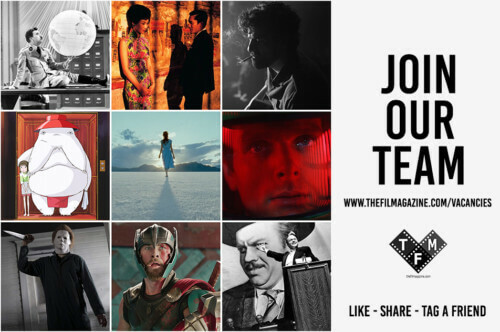 Let us know what you think in the comments, and have a great month’s worth of film!